I don’t know why there isn’t more buzz about this online, but Disneyland is now selling adorable churro hats! 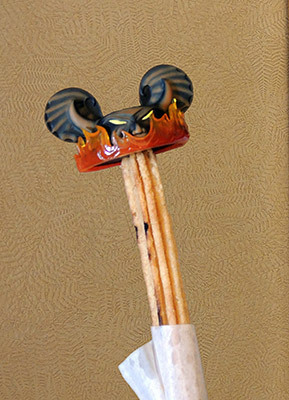 Each one is in the shape of traditional Mickey Mouse ears, but decorated with a cool pattern or in the style of a popular Disney character, and they’re sized to fit perfectly on your churro. Collect ’em all for some super-stylish eating! We haven’t posted much of late because we are hard at work on the new DisneyLies book (which will be released in November — just in time for December!) However, we did attend Mickey’s Halloween Party yesterday and wanted to share our glorious success with you. 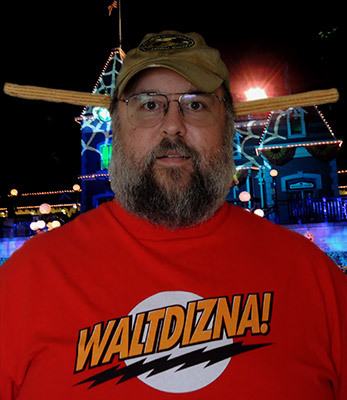 You will be pleased to know that this official DisneyLies designed headgear is easy to make at home with just a wire hanger and any old churro you happen to have lying around. If you make your own and send us a picture, we’ll be happy to share it with the rest of our readers.